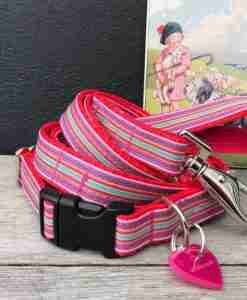 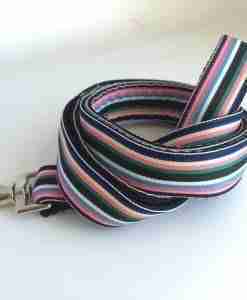 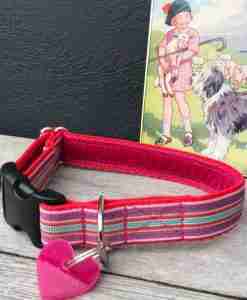 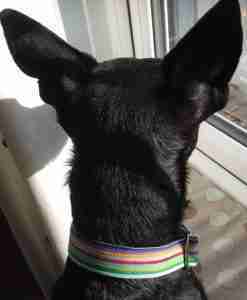 A nicely jolly stripe for your hollibobs, here’s Zoom. 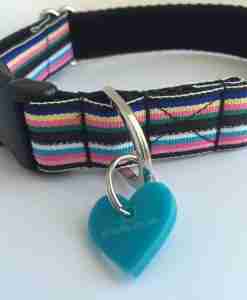 Lovely wide stripes of turquoise blue are offset with a zingy pink and stone and there are two options available for velvet linings. 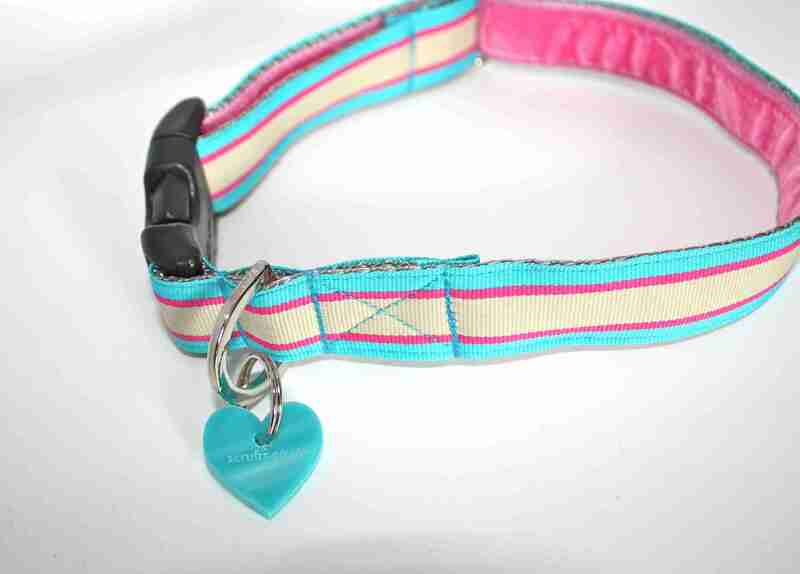 So, Blue for a boy or pink for a girl. 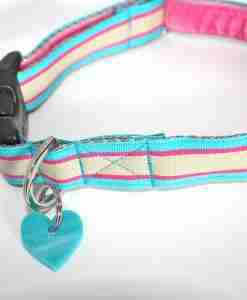 Of course, the final flourish is an exclusive Scrufts’ heart shaped tag. 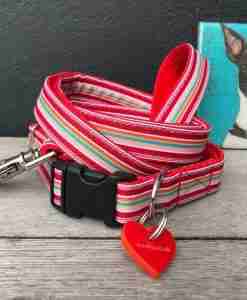 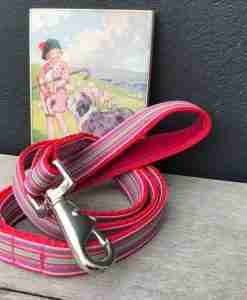 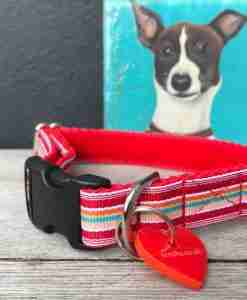 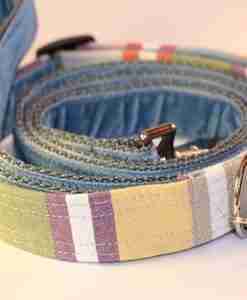 Each Scrufts’ dog collar and lead is handmade with care in sunny Brighton. 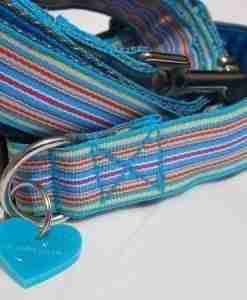 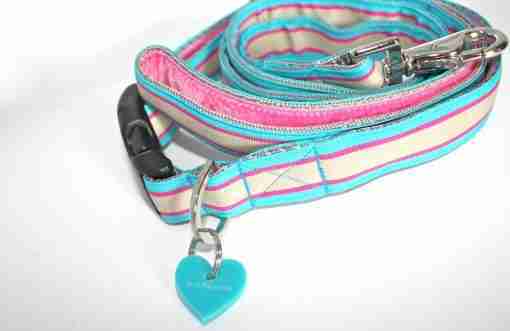 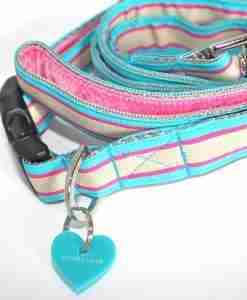 Please note that this collar and lead is 1″ / 2.5 cm wide and is not really suitable for puppies or toy breeds.